Last week, we talked about the types of currencies in Revelation Online. Today you will learn more about the different types of transactions. Characters unlock the auction once they reach level 20. From that moment they can browse currently auctioned items at any moment by pressing the R key; but in order to sell something, you need to find an auction employee. They can be found in the major cities: Sidus Ur, Sulan, and Fort Whetstone. You can use the NPC search option to make it easier: just open the world map, click the magnifying glass icon at the top right and type "auction" in the pop-up. Additionally, when characters reach level 40, they can unlock the Quick Auction option, this allows them to use it in full from wherever. You will have to unlock the fourth chapter of the Artisan Manual in the third volume of the Life Skill Book. Once done, you will be able to sell and buy any items you are interested in by pressing R.
The filter and sorting system will make the search easier. You can set the level range of the item you are looking for, the amount you need, sort the lots by various attributes, compare prices for individual items and for various combinations, etc. There is a separate tab for monitoring lots you have already bid on. Also, items with bids are marked with a special round symbol. If you find such an item, you can point at it and see the name of the character that has bid on it. All in all, you will be provided with the whole range of tools to make the system easy to use. You can put items up for sale for 24, 48, and 72 hour periods. Selling an item incurs a storage charge of 1% of the purchase price, but no less than 10 and no more than 200 Gythil. So remember to keep an eye on your funds before starting the trade. Additionally, the auction withholds a fee of 5% from the price of the item. You can also set the price either in Gythil or Aurum. Click the button at the top right of the Auction tab to switch the currency mode. There is the option to open a private stall and trade via it. Reaching level 30 and the second chapter of the Artisan Manual in the Chapter of the Nascent (V key) is required to unlock that feature. You will then be able to set up your own small stall, just select the Stall from the menu at the bottom right. You will need 100 Gyth Notes to do that. Afterward, your character will change into a cute NPC: with that appearance, you will be unable to use skills or move, but you will be able to access your stall. You can keep chatting and using other interfaces. You can give your stall a unique name and later even change the standard merchant NPC model for some other. The fee for selling the items at your stall is just 3%, which is even less that the Auction fee. Unlike at the auction, the storage charge is not incurred. Besides, you can open your stall wherever you choose. For example, it makes sense to sell equipment upgrade stones right beside the smithy. This will help you sell your items quicker. You don't have to specify a timeframe in which the item must be sold, as the stall will stay open for as long as your character stays there. Also, there are no bids here: items have to be bought at once. Items can only be sold and purchased at stalls for Gythil. You can choose both the items you wish to sell and the items you want to purchase yourself. The other players can sell you those items if they are satisfied with the price you offered. The stall also allows you to chat with your would-be buyer. This can be useful if you have to be away from your keyboard for a while: their messages will not become lost in the general chat and will await your return. You can buy lots of useful items not only from other players but from various NPCs. There are so many opportunities for such transactions, that we are only going to cover in short the ways to browse items on offer. 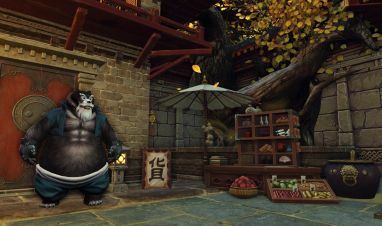 Revelation Online has over two dozens various factions, each of those offering their own goods and rewards to all characters in good standing with that particular faction. Open the character window (C key) and select the Factions tab to browse the list. In it, you can find both the NPCs from those factions and the goods and quests they have available. That tab also features the automatic path button, that will take you right to the faction merchant or trainer, should you not be able to find them. In the character window, you will be able to find the Honor tab, that contains info on the Work Certificates, Ausgyth Points, and some other types of Favor your character has earned. We should also touch upon the Order of Guardians. By completing the Order's quests and increasing your rank you will be able to buy fury volumes, rare equipment, and other items that might be difficult to obtain otherwise. That is why we advise new players to pay attention to that aspect of the gameplay. You can also find information on the Order on the character window in the Order tab. Learn the ways of Nuanors’ economy with information on the trading and currency systems!